This name uses Spanish naming customs: the first or paternal family name is López and the second or maternal family name is Pineda. José Pastor López Pineda (15 June 1944, Barquisimeto – 5 April 2019, Cúcuta)  , better known as "El Indio Pastor" (Pastor the Indian), was a Venezuelan singer-songwriter who worked primarily in the style of Cumbia. Barquisimeto is a city in Venezuela. It is the capital of the state of Lara and head of Iribarren Municipality. It is an important urban, industrial, commercial and transportation center of the country, recognized as the fourth-largest city by population and area in Venezuela after Caracas, Maracaibo and Valencia. He started out singing Joropo in a group with his brothers, but didn't gain more widespread notoriety until joining forces with fellow musician Nelson Henríquez. After two years performing in Nelson Henriquez's group (1972–1973) he decided to branch off and form his own: "Pastor López y su Combo." Many of the cumbias he has recorded are interpretations of works associated with "Peruvian cumbia", including "Cariñito sin mi", "Bonita y Mentirosa", and "Traicionera" among others. The success of his more than 30 year musical career has not been limited to his two nations of residence, Venezuela and Colombia, but spans the United States, Canada, Spain, the UK, and other countries with significant Colombian and Latino populations. He was one of the foremost recording stars for the dominantly Cumbia record label Discos Fuentes.  . The Joropo is a musical style resembling the fandango, and an accompanying dance. It has African, Native South American and European influences and originated in Venezuelan territory, have very variants: tuyero, oriental,llanero.. It is a fundamental genre of Venezuelan música criolla. It is also the most popular "folk rhythm": the well-known song "Alma Llanera" is a joropo, considered the unofficial national anthem of Venezuela. Colombia, officially the Republic of Colombia, is a sovereign state largely situated in the northwest of South America, with territories in Central America. Colombia shares a border to the northwest with Panama, to the east with Venezuela and Brazil and to the south with Ecuador and Peru. It shares its maritime limits with Costa Rica, Nicaragua, Honduras, Jamaica, Haiti, and the Dominican Republic. Colombia is a unitary, constitutional republic comprising thirty-two departments, with the capital in Bogota. A stroke is a medical condition in which poor blood flow to the brain results in cell death. There are two main types of stroke: ischemic, due to lack of blood flow, and hemorrhagic, due to bleeding. Both result in parts of the brain not functioning properly. Signs and symptoms of a stroke may include an inability to move or feel on one side of the body, problems understanding or speaking, dizziness, or loss of vision to one side. Signs and symptoms often appear soon after the stroke has occurred. If symptoms last less than one or two hours it is known as a transient ischemic attack (TIA) or mini-stroke. A hemorrhagic stroke may also be associated with a severe headache. The symptoms of a stroke can be permanent. Long-term complications may include pneumonia or loss of bladder control. Sueños de Cumbiambrea – Pastor López con Los Mayorales. José Luis Rodríguez González, nicknamed El Puma (Cougar), is a Venezuelan singer and actor who is known for having recorded many international super hits and participated in a handful of telenovelas. He also served as a coach and mentor on the Peruvian and Argentine version of The Voice, as well as a judge on X Factor Chile. La Sonora Matancera is a Cuban/Afro-Cuban band that played Latin American urban popular dance music. Founded in 1924 and led for more than five decades by guitarist, vocalist, composer, and producer Rogelio Martínez, musicologists consider it an icon of this type of music. Notable singers to have sung with the band include Bienvenido Granda, Daniel Santos, Myrta Silva, and Celia Cruz. Ismael Miranda, also known as El Niño Bonito de la Salsa is a Puerto Rican singer and songwriter. Leopoldo Dante Tévez, known as Leo Dan, is an Argentine composer and singer born in Villa Atamisqui, Santiago del Estero Province. He recorded more than 20 albums during his long career during the late 20th century between Argentina and Mexico. His appreciation for Mexican music led him to record with mariachis, and from there he went to international fame. His music was well received by the Mexican public since his voice was a good match to the traditional mariachi sound. Gran Coquivacoa is a Venezuelan gaita zuliana group founded in 1968 by Jesús "Bocachico" Petit, Nelson Suárez, Rody Tigrera, Pedro Arteaga and Manolo Salazar in Cabimas, Zulia State. Eladio Romero Santos was a Dominican musician. The 3rd Annual Latin Grammys were held in Los Angeles at the Kodak Theatre on Wednesday, September 18, 2002. Alejandro Sanz was the night's big winner winning a total of three awards including Album of the Year. The ceremony returned in style after the 2001 ceremony was cancelled because of the September 11, 2001 terrorist attacks across America, and all presenters apologized to viewers during the broadcast for such. Tatico Henríquez, considered one of the best accordionists of merengue tipico, was born in Nagua, Dominican Republic. His career began in the 1960s and the early 1970s. He was known for his skill on the accordion and the addition of new instruments to a standard merengue tipico band. The Billboard Latin Music Awards grew out of the Billboard Music Awards program from Billboard Magazine, an industry publication charting the sales and radio airplay success of musical recordings. Originally launched as the Billboard Latin Music Conference in 1990, the first awards began in 1994. In addition to awards given on the basis of success on the Billboard charts, the ceremony includes the Spirit of Hope award for humanitarian achievements and the Lifetime Achievement award, as well as awards by the broadcasting partner. 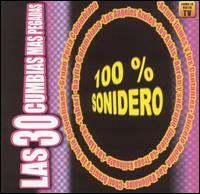 Las 30 Cumbias Más Pegadas is the title of a compilation album, which features music from Los Angeles Azules, Los Askis, Rayito Colombiano, Grupo Latino, Grupo Maracuya, Los Llayras, Mr. Chivo, Aniceto Molina, Super Grupo G, La Tropa Vallenata, Los Vallenatos, Yahari, among others. This album peaked at number-one in the Billboard Top Latin Albums chart for one week. The 9th annual Billboard Latin Music Awards which honor the most popular albums, songs, and performers in Latin music took place May 9 in Miami. Winners are determined by the actual sales and radio airplay data that informs Billboard's weekly charts, including Top Latin Albums, and radio charts, including Hot Latin Tracks, during a one-year period from the issue dated Feb. 17, 2001 through the Feb. 9, 2002, issue. Celso Piña is a professional singer, composer, arranger, and accordionist mainly in the genre of musica norteña. Grupo Yndio is a Mexican pop group from Sonora founded in 1972, by some of the members of the dissolute Los Pulpos. This is the discography for Mexican pop singer Ana Bárbara. Pablo Lescano is an Argentine singer, composer, keyboardist, and leader of Cumbia villera group Damas Gratis from 2000. The 17th Annual Latin Grammy Awards were held on November 17, 2016 at the T-Mobile Arena in Paradise, Nevada. Puchito Records was Cuba's second independent record label. It was founded in 1954 during the mambo and cha-cha-chá explosion of the 1950s. Many of its recordings, produced by its founder Jesús Gorís (1921–2006), became instant hits. Cuban music styles represented in its discography include danzón, güajira, son cubano, son montuno, cha-cha-chá, guaracha, guaguancó, Cuban bolero, Cuban rumba, mambo, new flamenco, and Zarzuela. Other styles include farruca, merengue (Dominican), Ranchera (Mexican), nueva canción (Mexican) ... styles from Spain include cuplé, pasodoble, and flamenco. The ensembles range from studio orchestras to jazz combos to big bands to charangas. ↑ Tiempo, Casa Editorial El (April 5, 2019). "Muere el "Indio" Pastor López tras permanecer dos días en coma". El Tiempo (in Spanish). Retrieved April 5, 2019. ↑ "Nelson Henriquez y Pastor López, un dúo que nació y murió casi al mismo tiempo" (in Spanish). Lachachara.org. 2014-03-06. Retrieved 2017-03-27. ↑ "Sueño Azteca: La influencia de Perú en la Cumbia ( covers de cumbias peruanas )" (in Spanish). Suenoazteca.blogspot.ca. 2011-05-13. Retrieved 2017-03-27. ↑ "Pastor López con sus mejores éxitos en Neiva" (in Spanish). Diariodelhuila.com. 2016-12-06. Retrieved 2017-03-27. ↑ "The Latin Beat: The Rhythms And Roots of Latin Music From Bossa Nova To Salsa And Beyond". Da Capo Press. 2009-04-29. Retrieved 2017-03-28. ↑ Pulzo; Pulzo.com. "Murió Pastor López: se apagó la voz de 'Traicionera' y otros temas decembrinos". pulzo.com (in Spanish). Retrieved April 5, 2019. 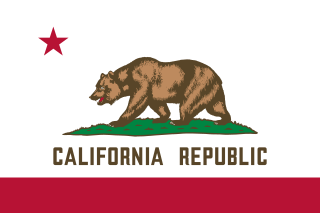 Los Angeles, officially the City of Los Angeles and often known by its initials L.A., is the most populous city in California, the second most populous city in the United States, after New York City, and the third most populous city in North America. With an estimated population of four million, Los Angeles is the cultural, financial, and commercial center of Southern California. The city is known for its Mediterranean climate, ethnic diversity, Hollywood and the entertainment industry, and its sprawling metropolis. Los Angeles is the largest city on the West Coast of North America. Edmonton is the capital city of the Canadian province of Alberta. Edmonton is on the North Saskatchewan River and is the centre of the Edmonton Metropolitan Region, which is surrounded by Alberta's central region. The city anchors the north end of what Statistics Canada defines as the "Calgary–Edmonton Corridor".